Home » What is Prosthodontics? 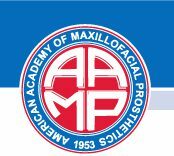 Prosthodontics, also known as prosthetic dentistry, is one of the nine dental specialties recognized by the American Dental Association (ADA). Prosthodontists are qualified to offer service in state-of-the-art procedures and techniques, including dental implants, bridges, crowns, dentures, fillings, occlusal disease treatment, and TMJ/TMD treatment. Gum disease, injury, and tooth decay can all cause the loss of your natural teeth. We can bring back the smile on your face with dentures to restore your missing teeth. Veneers are thin, custom-made shells made from tooth-colored materials, such as porcelain. They are designed to cover the front side of your teeth. Veneers are natural in appearance and are a great option for patients who want to make adjustments to the look and feel of their smile. A filling is often used to repair a tooth that is damaged by wear, decay, cracks, or fractures. The decayed or affected portion of the tooth is removed and replaced with a filling, which can be made of many different materials. Occlusal disease is caused by a malocclusion, an improperly aligned bite. Patients with occlusal disease can experience symptoms of excessive tooth wear, sensitivity, muscle pain, and TMJ pain.